The three-time NBA champion, LeBron James has won many awards as the most valuable player of play-off final games. The American athlete has participated in 12 All-NBA First Team, two All-NBA Second Team, and five NBA All-Defensive Team matches. The basketball legend is the second sportsman (after Michael Jordan) who performed a triple-double during an all-star game and broke a record in the number of whitewashes in play-off series. The would-be sportsman was born in December 1984 in Akron, Ohio, which was nicknamed “the rubber capital of the world” because many American companies that produced tires and rubber had their headquarters in that city. The future legend’s mother, Gloria, gave birth to her son when she was 16; she gave him her second name and brought him up on her own. James has never met his biological father, Anthony McClelland. Rumors have it that Anthony is a famous streetball player and a well-known swindler who spent a third of his life in prison. Although Gloria made the boy’s life pretty messy, the athlete’s relationship with his mother is warm. From five, LeBron traveled from one part of the country to another; he never stayed for a long time anywhere: the family moved six or seven times a year and changed apartments and towns. When the boy went to school, this lifestyle gave him academic troubles; besides, he did not have time to made friends with his peers. In the fourth grade, the student had to miss half of the classes because of his mother who had disturbed the public order and spent a week in prison. James felt ashamed to go to school and listen to his classmates’ mockery. Gloria’s behavior often made LeBron feel embarrassed: the woman was scandalous and frequently had conflicts with salespersons and employers; she also disrespected court. 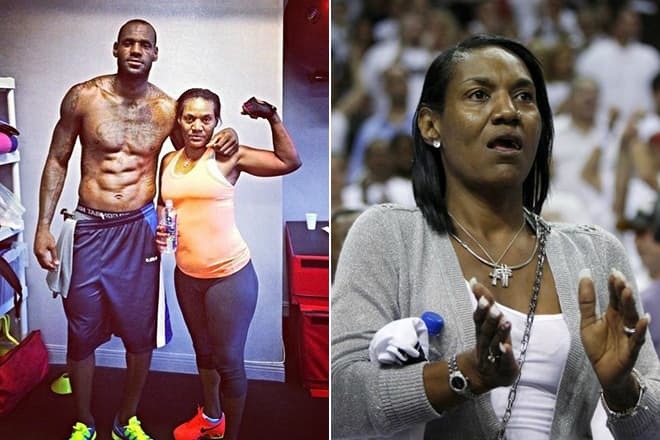 Later, when Lebron James became a sports star, Gloria’s temper manifested itself in supporting her son. During games, she came down on everyone who did not like James’s playing; for this reason, Gloria was nicknamed Iverson’s mom, new iteration. The school team coach discovered LeBron’s talent in basketball. As Frank Walker saw the boy’s sports potential, he took the fourth grader to his house and stopped restless Gloria’s moving for a year and a half. In the fifth grade, James went to all classes – thanks to Frank. Moreover, LeBron got acquainted with basketball. The coach explained the rules to the young talent and taught him how to throw a ball with his right arm (James is left-handed). From eight, LeBron played in the local league. Apart from the coach’s help, LeBron was brought up by Eddie Jackson, his stepfather. Their relationship was warm. Still, the man was not a law-abiding citizen: he spent six years in prison for credit card scheming and drug sale. Jackson started taking care of LeBron when the boy was two years old. At 17, James received a birthday present from Eddie: his first car, Ford Explorer. James LeBron entered the world of the big sport swiftly. After the eighth grade, the basketball player reached the final of Amateur Athletic Union. Because the young man smoked marihuana to relieve his stress, he almost dropped out of the team; however, he managed to stop doing that. The second ordeal was also dangerous: the iron construction with a ring fell on the sportsman. As soon as legendary Kobe Bryant also known as Black Mamba heard about the talented youth from Los Angeles, he went to see James. Bryant made sure there was truth in the rumors and invited LeBron to train with an NBA team Cleveland Cavaliers. The young athlete’s abilities were appreciated, and the club even violated the rule that a player should be at least 18 years old. The owners of Cleveland Cavaliers had to pay $150 000, but the new player was worth it. In 2003, the NBA Draft became the most “starring” in the new millennium: the best players were the team members; fans pronounced their names in awe. 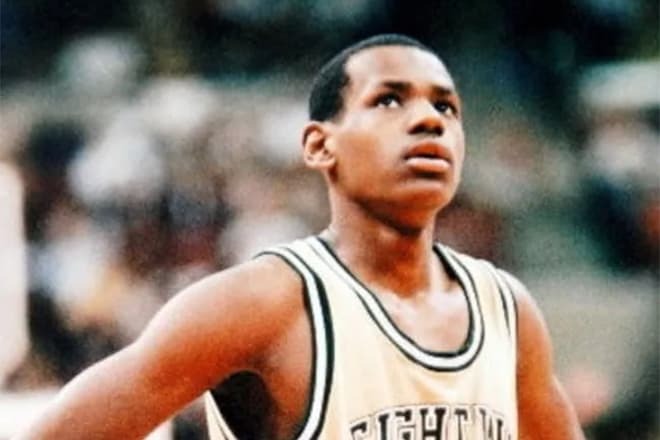 In Cleveland, the rookie James LeBron who had not even finished school became number one. The coach’s and team managers’ risks proved to be justified: LeBron pulled the bottom team and adapted to the new conditions in less than six months. Soon, Cleveland Cavaliers were included in the top ten basketball teams; James’s contribution was significant. In 2008, Kristopher Belman created a documentary movie More than a Game about the basketball legend and his four colleagues. 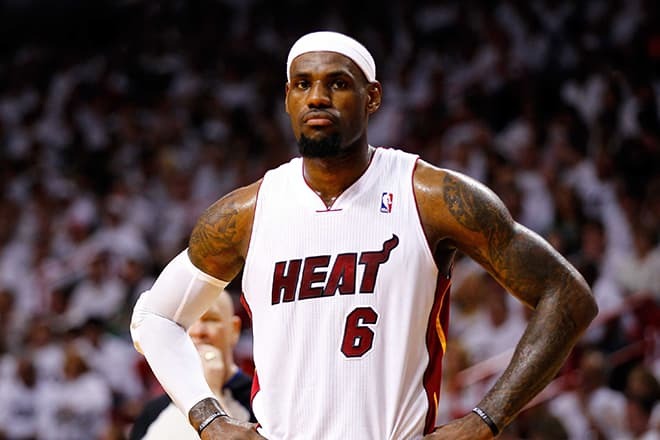 In 2010, James LeBron joined Miami Heat, but fans saw it as betrayal and even protested and organized flashmobs where they burned T-shirts with number 23. LeBron had to explain he did not mean to betray any team: he wanted to become an NBA champion. Soon, the man’s words proved to be true: in 2011-2012, for the first time in his career, LeBron won the NBA championship victory. He was included in the US Dream Team. During the Olympic Games, the Americans defeated the Spanish and gained the gold medal for the second time. 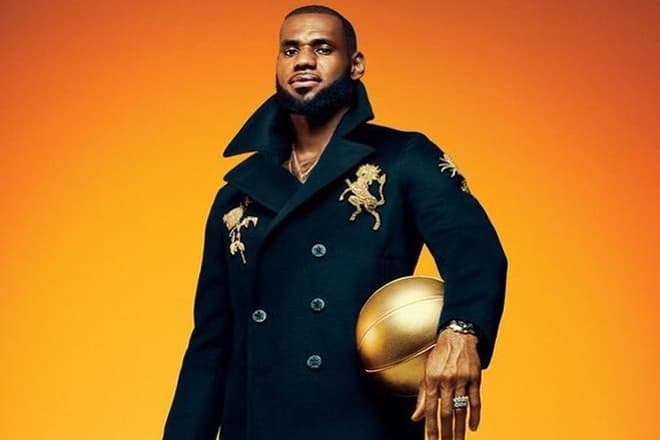 James LeBron is the second basketball player who managed to win the Olympic gold medal (London, 2012), the title “NBA Finals Most Valuable Player,” and The NBA Finals in one and the same season. Before, only Michael Jordan did that. By the end of 2012, the athlete collected all possible prizes. James LeBron is the youngest basketball player in the world who managed to earn more than 20 000 points: it happened in January 2013. In July 2014, LeBron signed a $42.1 million contract with Cleveland Cavaliers for two years; he had the right to cancel the agreement after one season. In July 2015, the athlete informed the club administration he was going to become an unrestricted free agent. The next month, James LeBron signed a new $46.9 million contract with Cleveland. LeBron is sometimes called King James. He is good at basketball and shooting stages; cameras like him. The man appeared in commercials for Samsung, Coca-Cola, and McDonald’s. 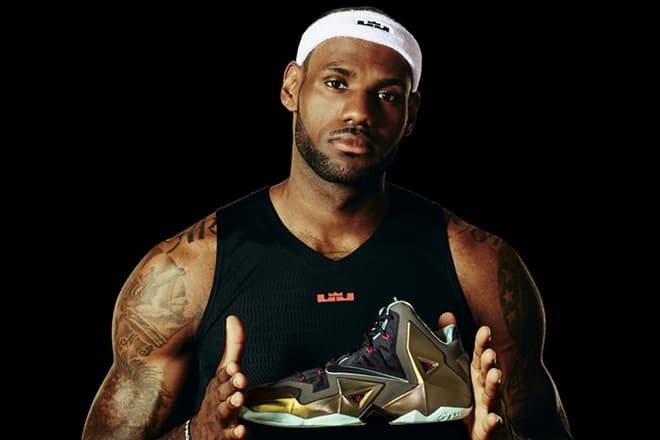 Nike and Adidas also collaborated with LeBron and signed multi-million contracts with him. The first contract with Nike lasted for seven years and brought the player $90 million. After the contract expiration, James signed a life-long agreement with the company; it was the most expensive individual contract in the entire history of Nike. In June 2014-June 2015, the athlete earned $64 million. 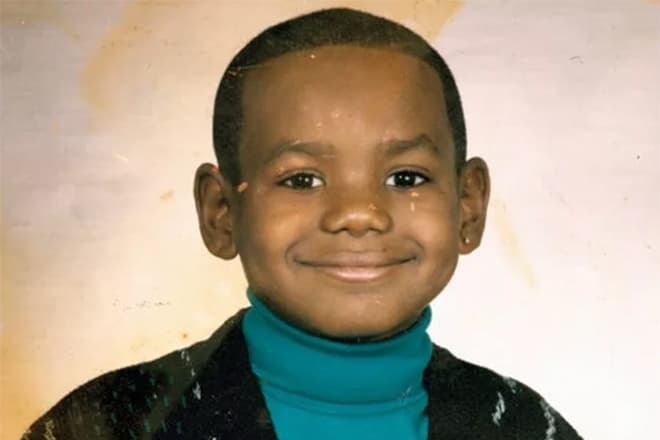 The example of James LeBron inspired many black boys from poor families: they gained hope for the better. In addition to his sports achievements, the player tried himself in acting. 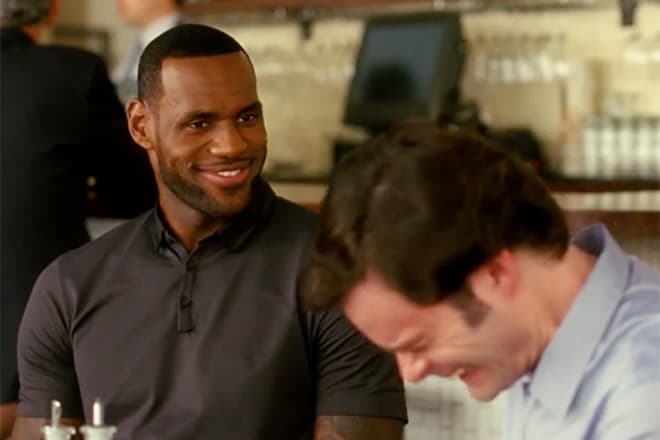 In summer 2015, the Hollywood comedy Trainwreck was premiered; James had a bright role there. Still, the most brilliant role pertains to a basketball court. The athlete’s height is 206 cm., and his weight is 111 kg. James’s straight jump is 111 cm. ; the man’s wingspan is 214 cm. The legendary player’s statistics are impressive; videos from his practice and tournaments have the recording number of views. Many records of the player remain unbroken. James LeBron is incredibly popular in social networks: there are more than 30 million followers on his Twitter and Instagram pages. 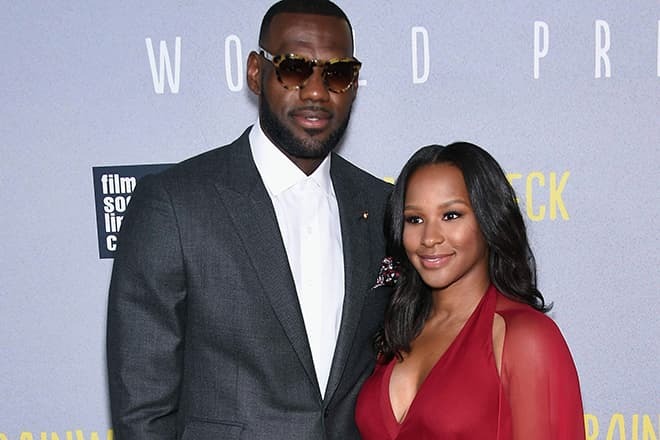 James met his future wife, Savannah Brinson, when he was a high-school student. The school relationship did not finish after the young people’s graduation. Eventually, the 27-year-old sportsman and his beloved one announced they were engaged: it happened at the end of 2011. The next year, in September, the couple married in San Diego; 200 guests were present at the wedding ceremony. In fall 2014, LeBron’s wife gave birth to a son; the boy was named after his father, James LeBron Jr. The athlete has a tattoo of his first kid on his left arm. In summer 2017, the second son, Bryce Maximus, was born. At the beginning of December 2017, the forward of Cleveland Cavaliers became the NBA Eastern Conference Player of the Week. James helped the team win four victories and had triple-doubles in all matches. According to his teammate, Channing Frye, LeBron’s physical shape is excellent today. As Frye says, his partner usually puts 60% of his strength in playing, but in the recent seasons, the athlete showed 80% of his talents, yet James still looked free and easy.